A Ukrainian Special Forces company dispatched in Ukraine’s centermost major city of Kirovograd has disobeyed an order to march on to Crimea, according to one of the officers in the company who spoke to Itar-Tass. 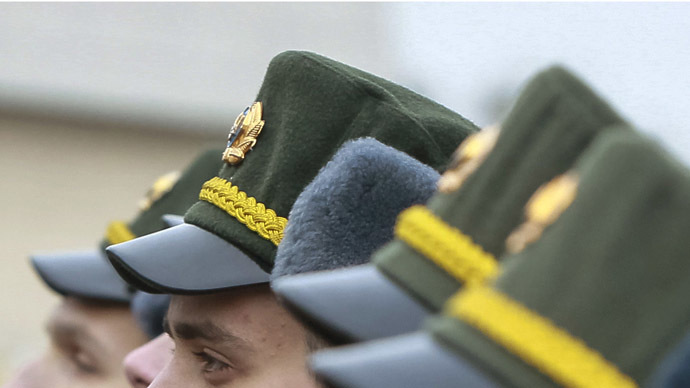 “Today we have been ordered to move toward the Crimean peninsula and disrupt the activity of the Crimean ‘defense forces.’ We have refused to carry out the order,” he told the agency of the order that came Sunday from Ukraine’s Defense Ministry. The officer added that part of the reason to go against Kiev’s orders was a lack of understanding by the special forces as to whose plans they had to thwart there, and why. This is not an isolated sentiment. On Sunday, much of the Ukrainian armed forces based in Crimea simply switched sides, shortly taking their military oath. Newly appointed Navy chief, Rear Admiral Denis Berezovsky, has sworn allegiance to the people of Crimea, RIA Novosti reported. Troops were earlier seen resigning en masse, while the Crimean Defense Forces kept order in Simferopol. Peaceful locals could be seen around Crimea, advocating a no-war approach. The development has been reported mere hours after violent scuffles in Kharkov, eastern Ukraine’s largest city, in which more than 100 people were injured. 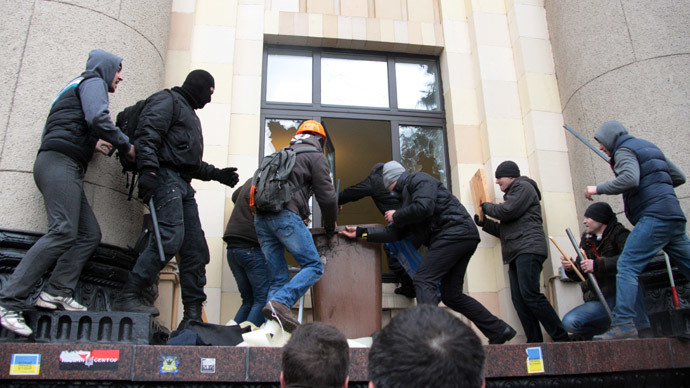 This resulted in pro-Russian crowds taking back the city administration’s headquarters from radical far-right groups as local police took a back seat. 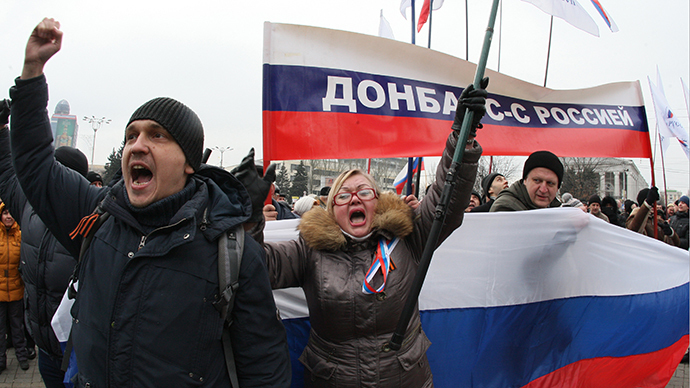 Crimea got pulled into the Ukrainian chaos shortly after the self-proclaimed government in Kiev introduced a law banning the use of minority regional languages across the country. 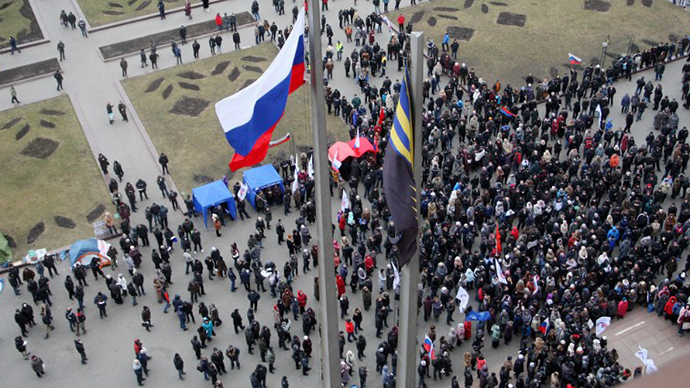 With more than half of the Crimean population being ethnic Russians, as well as many Ukrainians disapproving of such radical measures, public outcry turned into action. Residents have announced they are going to hold a referendum March 30 to determine the fate of the Crimean autonomous republic. Similarly to Crimea, a number of other Ukrainian regions have likewise risen up against the new Ukrainian government, whose legitimacy has been brought into question, as thousands can be seen on their streets, urging their neighbors to stand up to Kiev’s orders.